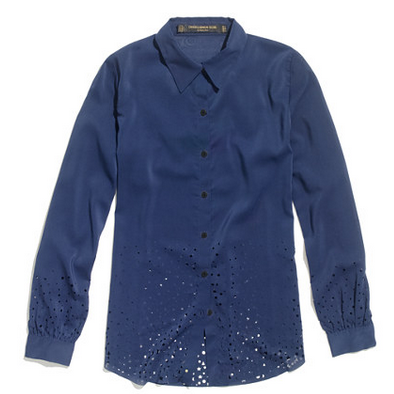 Love the laser cut outs at the bottom of this blouse, little stars and moons for the win! It would look great layered over a bright top, though I wonder if you would loose the effect if you tucked it in? Buy at Madewell for $159.